The government responded to the murder of the Fogel family by approving 500 new homes in Yesha, but all of them in major population centers. 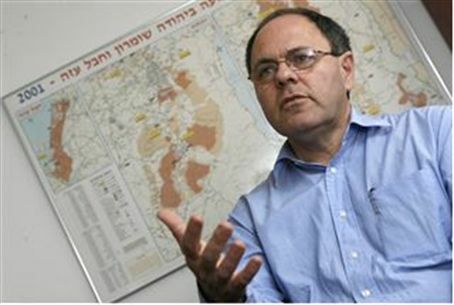 The government responded to the murder of the Fogel family by approving 500 new residential units in Judea and Samaria. All of them are in major population centers. The 500 new units, approved by a ministerial committee Saturday night, are to be built in Maaleh Adumim, Ariel and Kiryat Sefer, adjacent to Modi’in. No new construction was approved in smaller communities, such as Itamar. Dayan commented, “Unfortunately, this is the first time in the current Netanyahu government that the government has approved new housing development in Samaria, and it is too bad it needed the murders of parents and their children to do so. Defense Minister Ehud Barak was present at the committee meeting and supported the new units. Until Saturday night, he has imposed a virtual freeze on new homes for Jews in Judea and Samaria, where no construction is considered legal without his signature. His signature is also the one lacking on the plans to devlop Itamar.